Join us at booth 18507 in the North Hall (Level 2). 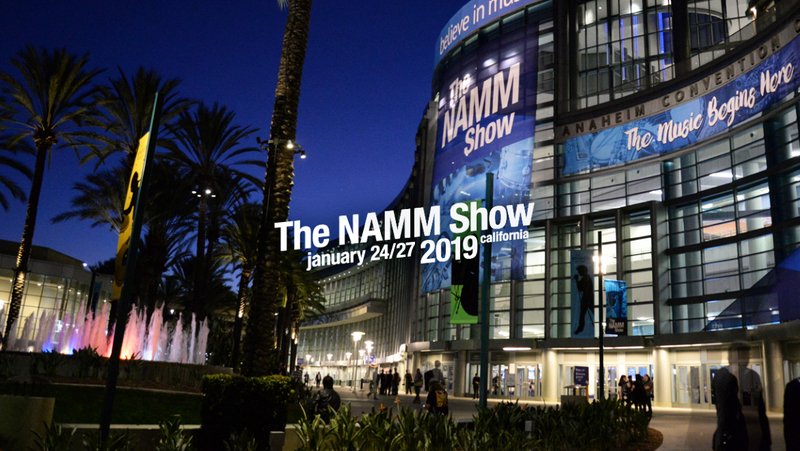 Making its NAMM debut (North Hall, Level 2, Booth 18507), DPA Microphones will be showcasing its smallest high-end pro audio microphone capsule, the d:screet™ CORE 6060, 6061 Subminiature Microphones and the d:fine™ CORE 6066 Subminiature Headset Microphone. In addition, DPA’s d:vote™ CORE 4099 Instrument Microphone and d:facto™ 4018VL Linear Vocal Microphone will be used during live in-booth performances throughout the show. DPA will also be participating in a variety of educational sessions as well as supplying mics for several NAMM events. Measuring in at three millimeters (0.12 inches) in diameter, the Subminiature mics may be small, but they are powerful in terms of performance. All three microphones incorporate the company’s TEC-nominated CORE by DPA amplification technology and have achieved an IP58 waterproof rating, which provides water and moisture resistance. In terms of technical specifications, all three 6000 series capsules are omnidirectional and have a frequency range of 20 Hz - 20 kHz. The d:screet 6060 lavalier has a noise floor of only 24 dB(A), while the d:screet™ 6061 lavalier and d:fine 6066 headset have noise floors of only 26 dB(A). The d:vote™ CORE 4099 Instrument Microphone also incorporates CORE by DPA amplification technology. The d:vote CORE 4099 line is designed for use with every woodwind and acoustical instrument. Known for its discreet size and versatile mounting/clip options, the d:vote™ CORE 4099 mic is a great fit for a variety of applications ranging from the studio and theater to live performances. For the d:vote™ CORE mics, the dynamic range has gone from 100 dB to 108 dB for the Loud SPL and from 95 dB to 109 dB for the Extreme SPL. DPA is providing all of the mics for the outside Yamaha Grand Plaza main stage, including d:dicate™ 4011 Cardioid Microphones, d:dicate™ 2011 Twin Diaphragm Cardioid Microphones, d:vote™ CORE 4099 Instrument Microphones and d:facto™ Vocal Microphones, and will be on hand to help the bands with any miking questions or techniques. On Saturday, January 26th, DPA representatives will take part in two panels at the Hilton, Level 4, Room C7. From 12:00PM to 2:00PM PST, Vincent Gabriel Antonini, DPA Global Sales Support/New Business Manager in the U.S. will present as part of the “Choosing The Right Vocal Mic” session, where he will discuss tips and tricks for selecting the right microphone-type based on a range of applications. Following this panel from 2:00PM to 4:00PM PST, Paul Andrews, Global Sales Support & Business Development Manager at DPA, will be presenting at a session on Miking the Piano, Choir and Orchestra. Andrews will be using DPA’s d:dicate™ Recording Microphones as well as d:vote™ CORE 4099 mics, d:screet™ CORE 4061 Miniature Omnidirectional Microphones and d:sign™ 4098 Supercardioid Microphones.